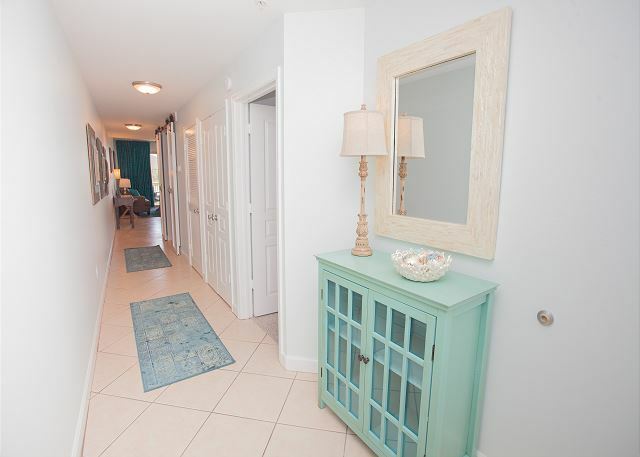 This is hands down the most beautiful condo in the building. 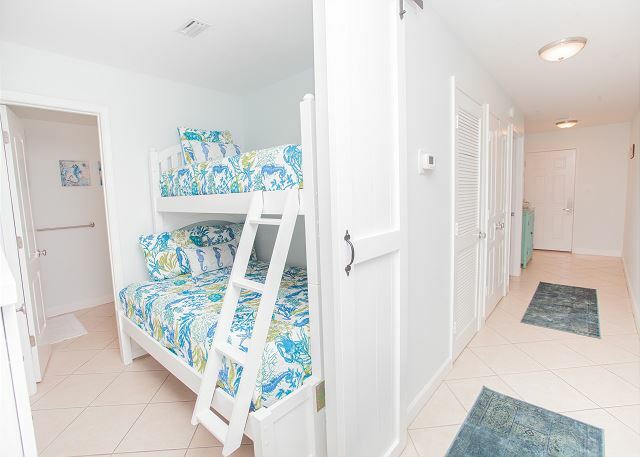 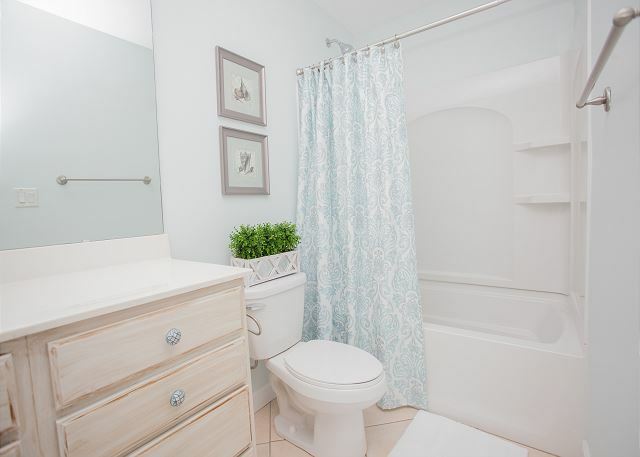 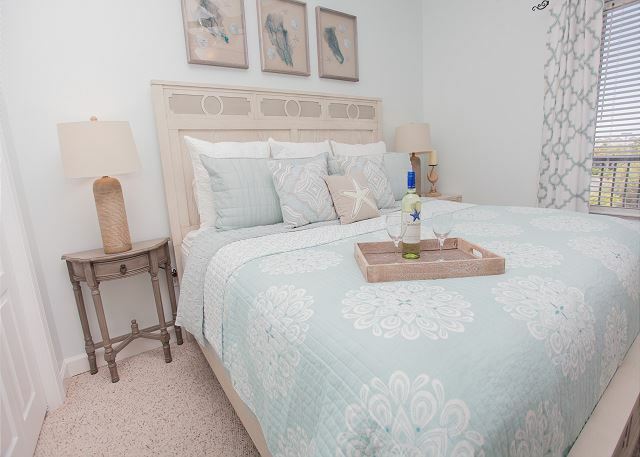 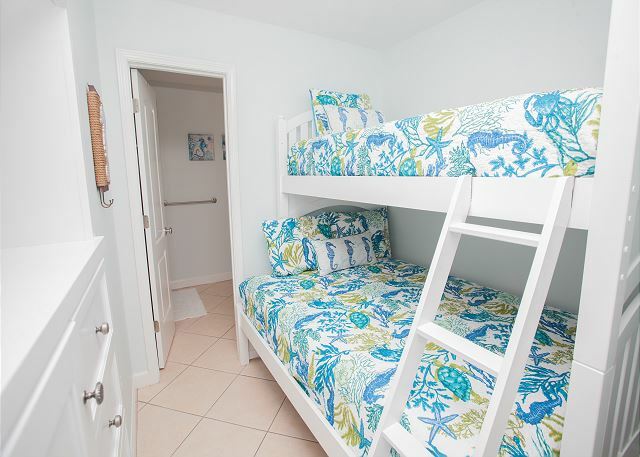 So, if you are looking for a Miramar Beach vacation rental that offers you the perfect vacation experience and gives you some great decorating tips that you can use at home, then this remodeled coastal decor 1 bedroom, 2 bath with Private Bunk Room is just the spot for you and your family. 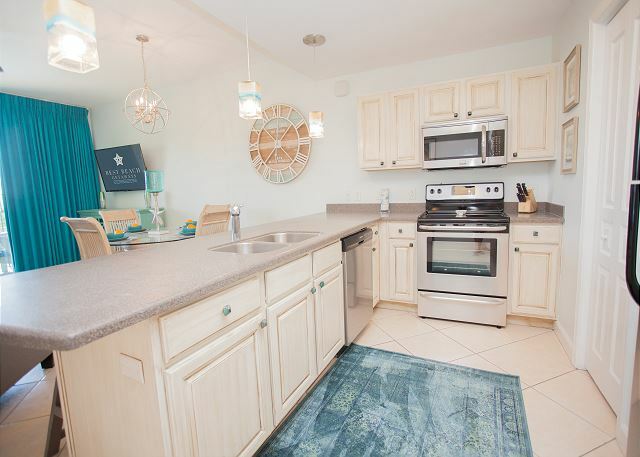 -Fully-equipped Kitchen including KITCHEN including blender, coffeemaker, toaster and more! 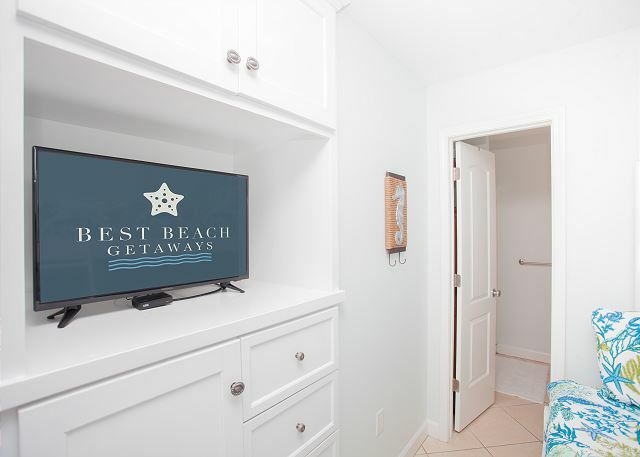 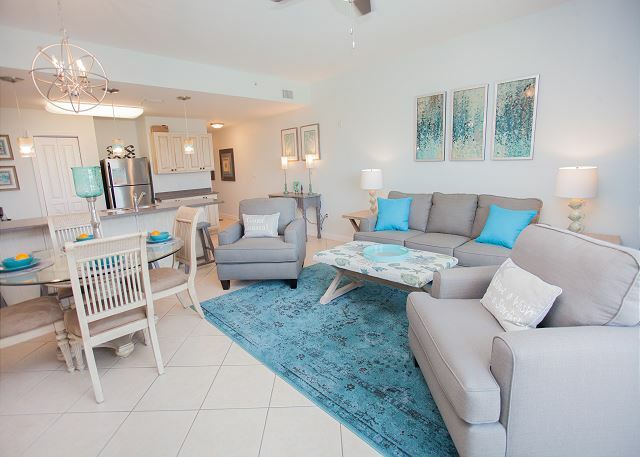 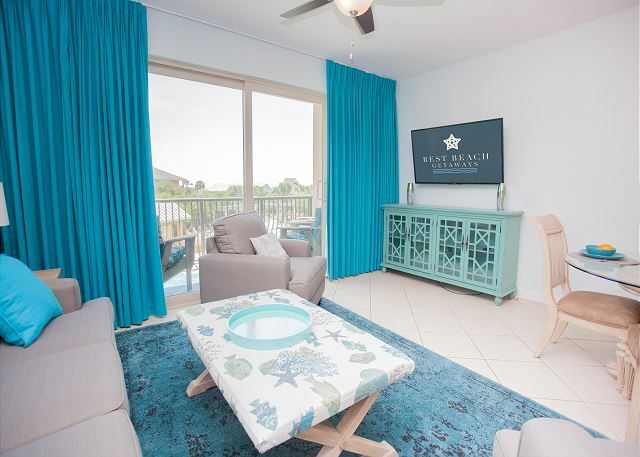 If you are looking for the beach rental located just steps to the beach and comfortable for a small family or couple, Beach Resort 305 is just the place to enjoy a truly memorable beach vacation. 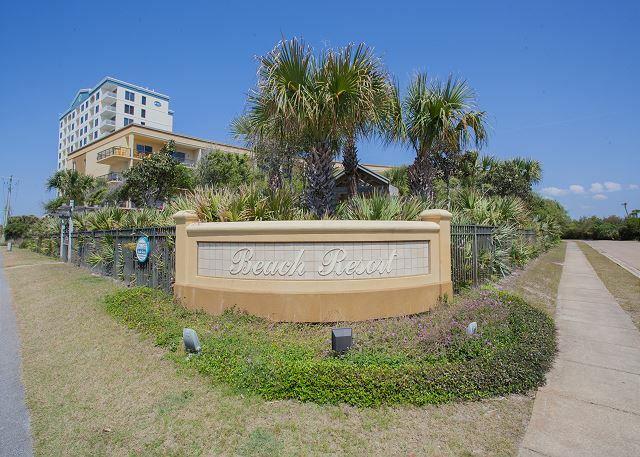 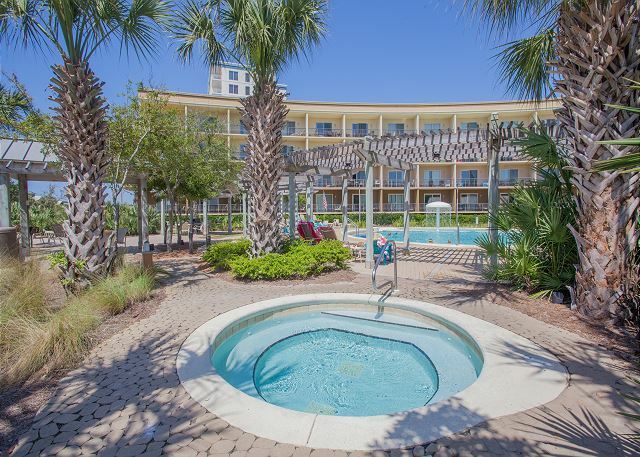 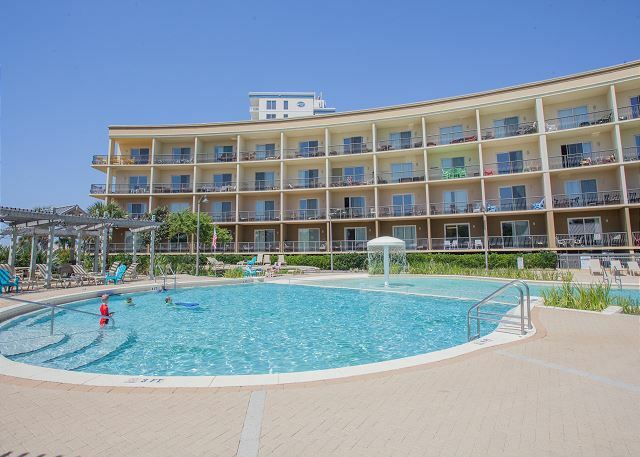 Beach Resort is a boutique resort located in Miramar Beach, between Sandestin and Destin. 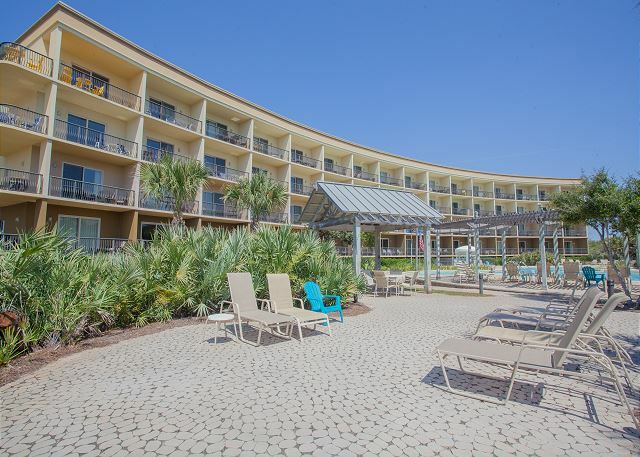 Many of the resort buildings in Miramar Beach are located along Scenic Highway 98 which is a beautiful drive along the beach. 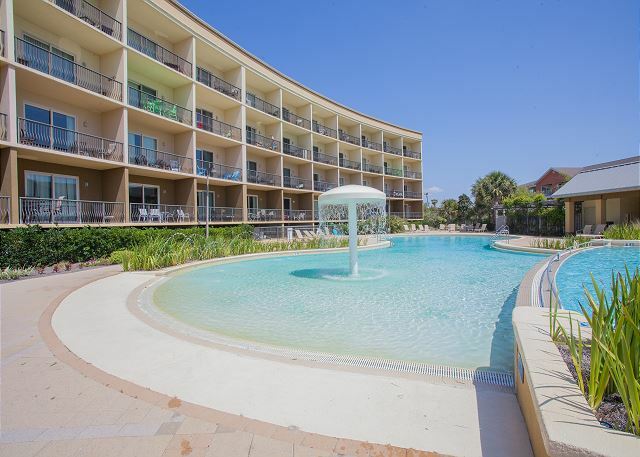 Beach resort is known for its huge lagoon pool. 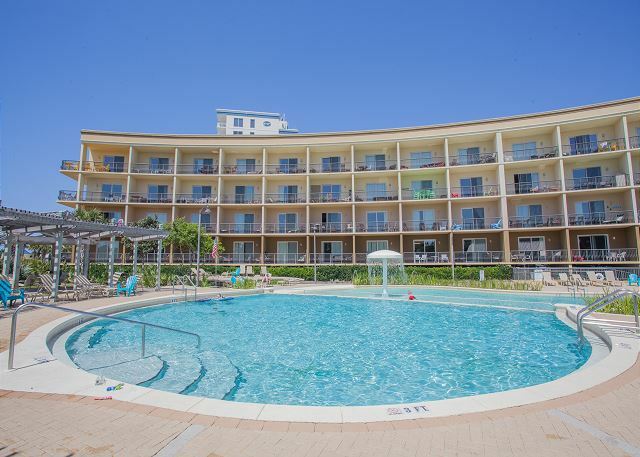 It’s amazingly large considering how small the resort building is. 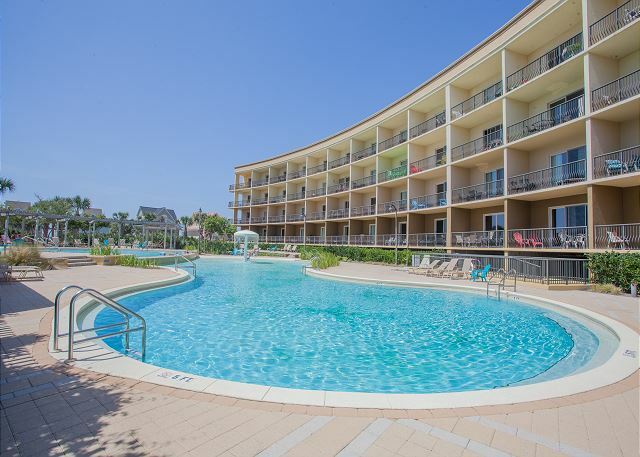 In fact, since it’s smaller you won’t have to wait for the elevator and everything from the pool to the walkover to the beach is close. 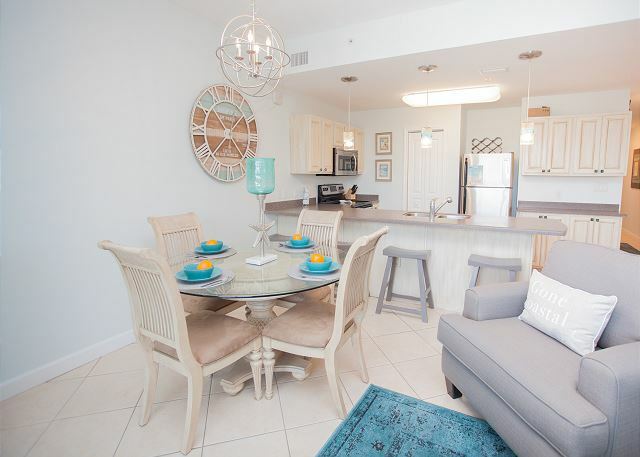 And, you’re close to all kinds of shopping and dining choices. 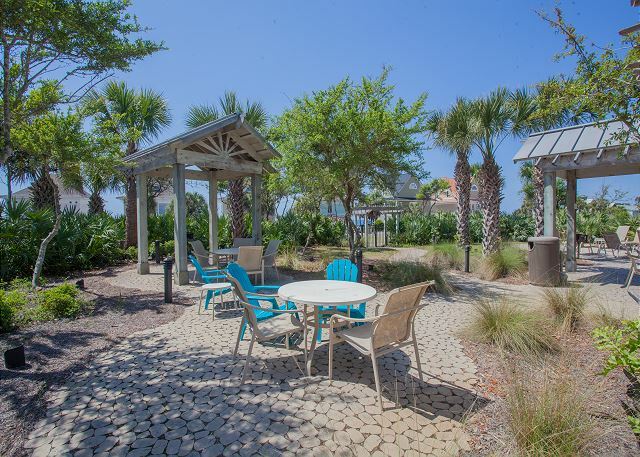 Make sure you have dinner at The Crab Trap while you’re here. 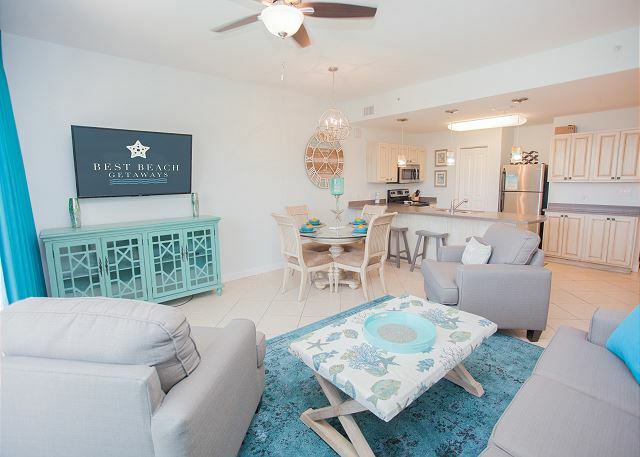 Beach Resort 305 is so popular, it rents most of the year. 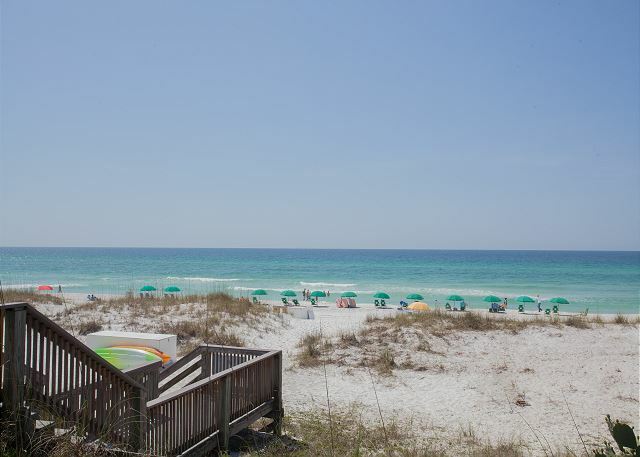 So, if you want to be sure your family has the luxury beach vacation they deserve, reserve it now, because it won't be available later.